Halloween may be over, but Liam doesn’t want to stop wearing his Elsa dress. 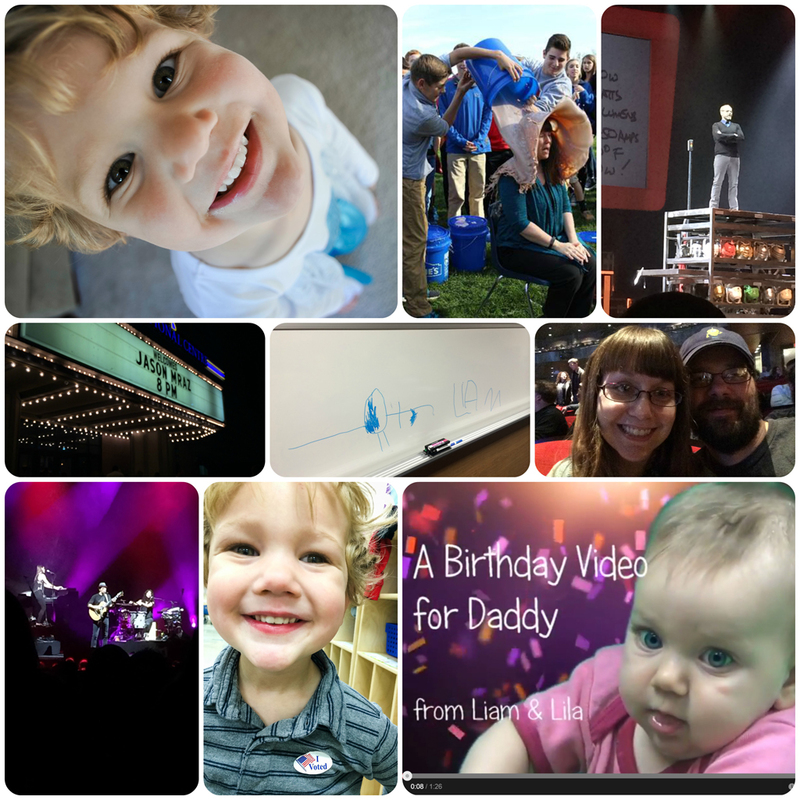 This week I attended two live events – Alton Brown with Lucas for an early birthday present, and the Jason Mraz & Raining Jane concert with my friend Darla. Both were absolutely wonderful performances, and I’m so glad to have been able to attend! Alton Brown was a fantastically funny storyteller. What a great birthday present! Jason Mraz is one of my favorites, and so now I can cross that one off my bucket list. He sounded great live! Liam proudly wore my “I voted” sticker after I voted on Tuesday, and I took one for the team and let students dump a 10 gallon bucket of chocolate milk on my head for Student Appreciation Week. FYI, chocolate milk hardens in your hair and cannot be combed out once dry. Two showers should help clean it up. On Friday it was Lucas’ birthday, so the kids came to my digital video classroom after school one day and I recorded some footage of them singing in front of the green screen to put together a surprise birthday video. Liam left a drawing for me on my whiteboard and I kind of want it to stay there forever.